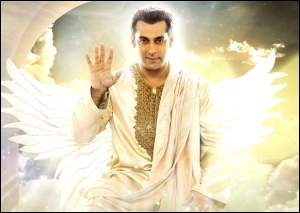 As the angels and demons from Bigg Boss 7 fly away, Colors brings love stories from Jaisalmer and Mumbai to fill in the vacuum. 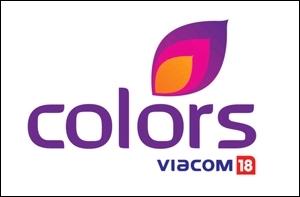 Viacom18's Hindi general entertainment channel (GEC) Colors is all set to bid adieu to two of its biggest annual properties. 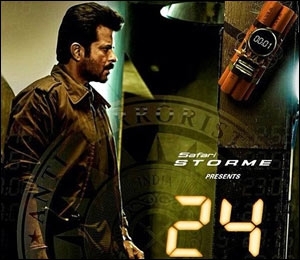 While 24 ended its first season on December 21, Bigg Boss will telecast the last episode of its seventh season on December 28, Saturday. Bigg Boss, which was being telecast from Monday to Sunday at 9 pm, will be replaced by Beintehaa at 9 pm and Rangrasiya at 9.30 pm between Monday to Friday. On the weekends, the channel will bring its earlier talent hunt show, India's Got Talent, which will now be in its fifth season. Meanwhile, the channel's single telecast property Golden Petal Awards will also be telecast on Sunday, December 28. It is interesting to note how the channel has been running limited episode fiction series in between two seasons of Bigg Boss. Between Seasons 6 and 7, there were shows like Sanskaar and Na Bole Tum Na Maine Kuchh Kaha 2. Meanwhile, for the vacuum which will be left by 24 on Fridays and Saturdays at 10 pm, the channel will extend its fiction properties Bani and Uttaran to be telecast till Saturday. However, later in January, Comedy Nights With Kapil will be reinstated on Saturdays, as it was before the launch of the thriller series. The upcoming shows are very dissimilar, both in treatment and content. While Rangrasiya is a dramatic story of love-passion-romance-betrayal, far away from marriage, Beintihaa, on the other hand, is a story of a couple post-marriage and their journey of discovering each other. Prashant Bhatt, weekday programming head, Colors, explains the difference between the two, "The narrative style is very different. Content wise, the scene I have in Beintehaa will never work in Rangrasiya and the style that I have used in Rangrasiya will never work in Beintehaa. But the message is very clear that love overpowers all other things in life. Colors always gets into narrative style, be it social message or love stories but never at the cost of entertainment." Rangrasiya is being produced by Nautanki Films (Saurabh Tewari and Abhinav Shukla), while Beintehaa is being produced by Fortune Productions (Farhan Salaruddin). Tewari, who is making the second show for Colors after Madhubala, says that characterisation is the biggest strength of Rangrasiya. "The characters are grey and hence, very real. This is the first time a show is being made which will be walking on the edge. Either it will be accepted in the first four-five weeks or will be rejected completely. That's the level of experiment." Bhatt agrees that the show is a risky proposition and quickly adds, "That's the biggest selling point. It's important to come out of the comfort zone, but it is a well calculated risk. We are betting on the thrill romance emotion drama combination." The makers claim that this particular show will do many things that have not been seen on TV before, ignoring the dos and don'ts. The expectation is to get more male viewers on the show, 60:40 skewed towards males, 15-35 years of age. The challenge in the show was the shorter timeline. Tewari adds, "We started shooting in September and we were on the floor on November 25. Ten episodes are already shot. When we returned from Jaisalmer, we had 56 hours of footage. We had shot on four film and three TV cameras." The latest offering of the production house is its most expensive show so far. The biggest learning from Madhubala for the production house was that the audience doesn't have patience today. "The more you fool around the chances of show's failure are more. You need to tell the main story, the conflicts one after the other to keep audiences engaged." Bhatt expresses hopes of longevity in the series but adds that the channel is all set not to stretch it unnecessarily. Commenting on the marketing promotional strategy for the two shows, Rajesh Iyer, head, marketing, Colors, says, "The two shows will be promoted extensively across media including in-theatre integrations during Dhoom 3 in Hindi speaking markets (HSMs), OOH across 60 cities and towns, and a media mix comprising of over 40 channels and radio stations covering more than 40 cities. As the launch leads into the New Year, special calendars will be launched with select publications to enable audiences to bring their favourite characters home. To ensure that both shows continue to be the topic of dinner-table conversations, we have developed an all-round social media strategy exploring various avenues."